It's just as perfect as you thought it would be. Mojang and Telltale's upcoming collaboration on Minecraft: Story Mode has finally come to a head with the very first trailer from the adventure game. And let us tell you, it's absolutely hilarious! But of course, Telltale's famous storytelling chops are in full force here. There's an all-star cast as well, with several familiar faces like Patton Oswalt, Corey Feldman, Paul Reubens, Billy West, Brian Posehn, and a positively star-studded cast that's rife with talent. If the familiar celebrity cameos don't make the game an intriguing prospect for you, then perhaps nothing will! 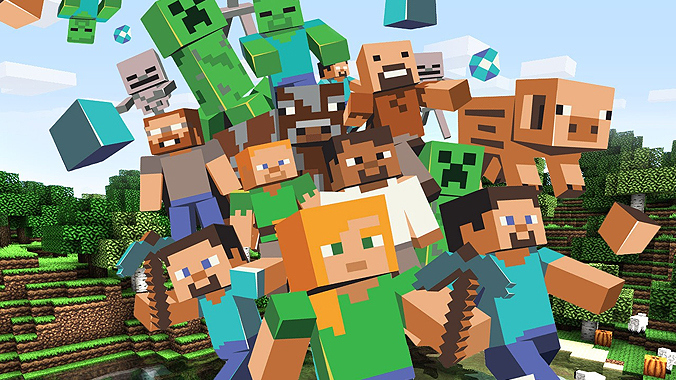 What do you think about the upcoming Minecraft spinoff?